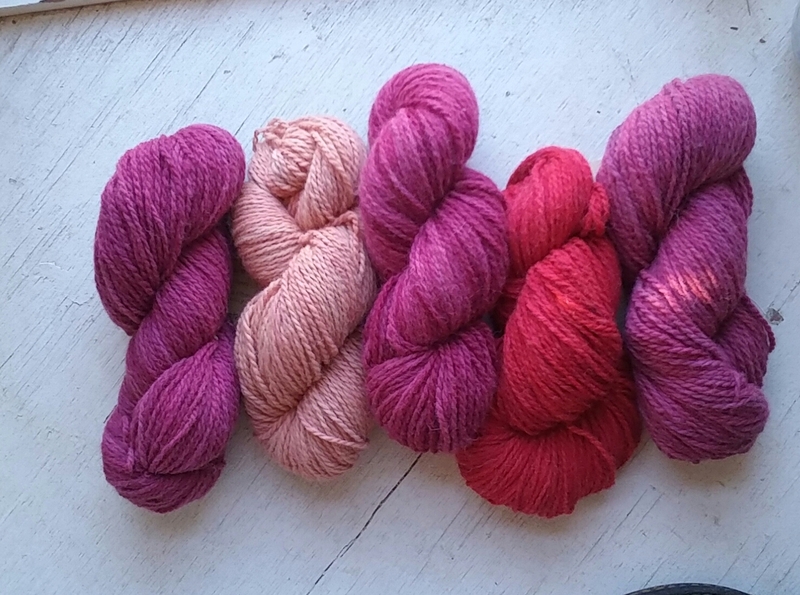 Madder root and cochineal dyed yarn. Super soft wool from our own alpacas and merino. Bright color courtesy of natural dyes. This entry was posted in Naturally Dyed Yarns and Products and tagged alpaca, alpwooplantdyes, fine wool, Maine, mainemade, Natural fiber, naturaldyes, sheep. Bookmark the permalink.